Time and time again, we’ve been asked about instant messaging tools where salons, managers and staff can communicate efficiently and effectively with each other without taking up a phone line or valuable time! While there are many tools available online that can help improve internal salon communication, we’ve narrowed down the options to three main picks. Allows for operations to run smoothly. In fact, in January Phorest FM had special guest Helen Devenney on the show to talk about salon meetings and her experience of them working in the industry. With that in mind, we’ve picked three fast, easy and free tools to ensure information is delivered across your team! Facebook Groups are a great option for a quick and easy solution for many businesses. Making it easy to keep in touch with just the people you want, Facebook also allows you to share photos and videos, have conversations, make plans and more. Just log into your Facebook account, click on the ‘Groups’ tab on the left-hand side of your newsfeed, and click on “Create Group” at the top right of your screen. From there, follow Facebook’s simple on-screen instructions (name your group, add people, select privacy). Just about everyone is already on Facebook. As an admin, you can monitor the group’s activity and approve or disapprove posts. It’s easy to share documents and project updates. Accessible on desktop, tablets and smartphones (iOS & Android). Every time you post something in the group, it’s openly available to everyone within that same group. You might already be trying to get your employees off Facebook during work hours. It’s a fast-moving stream of information, making it easy to miss out on posts. Because it’s linked to their Facebook profile and groups are heavy on notifications, it’s possible that a staff member turns off the notifications (or at least reduces them). More and more salon owners, like Ellen Kavanagh of Waxperts in Dublin, Ireland, say they rely on WhatsApp groups to communicate information. Again, this is another free option, and because it’s so rare nowadays for anyone not to have a smartphone, it’s an easy solution. Once you download the app from Google Play or the App Store, open it, and tap ‘New Group’. Make sure you have your staff’s phone numbers and that they also have the app. Then, look for their name in the list and add them to the Group. You can see who has received, viewed and read your messages. People nowadays always have their phones closeby. You can send unlimited messages over Wi-Fi for free. Available on desktop, however not as user-friendly as Facebook or Slack would be on the same hardware. It’s a fast-moving stream of information – just like Facebook, it’s easy to miss out on some texts. Because of the app isn’t seen as a ‘professional’ tool, it’s easy to go off topic. Harder to send large documents or files, and eats up space on one’s device. Searching for specific messages can be time-consuming. Slack is a platform available on desktop, tablets and smartphones (iOS and Android), available for free (priced plans simply have extra features). If used correctly, it can become an incredibly powerful tool. Quick and easy to setup, all you have to do is go to www.slack.com, click on ‘Create A New Team’ and follow their on-screen instructions to invite your staff on the platform. Probably the most professional tool available for internal salon communication. Reduces the amounts of emails sent and received by your team. Helps connect people who aren’t in the workplace on the day. Slack keeps an archive of all messages and makes it easy to search for information. You can send direct messages to another person or a small group of people. You can call another person through Slack, over Wi-Fi. Everyone has to get on board otherwise it won’t work as well. It’s another app to download. Slack can create a distraction, just like Facebook or WhatsApp. Enjoying The Phorest Salon Software Tips? Subscribe to Phorest FM, co-hosted by Killian Vigna and Zoé Bélisle-Springer! 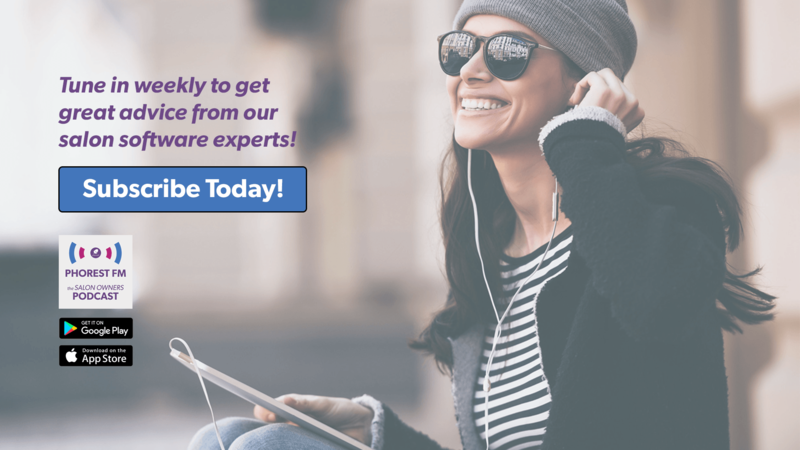 Produced every Monday morning, the show is a mix of interviews with industry thought-leaders, roundups of our most recent salon owners marketing tips & tricks, all the latest in and around Phorest and what upcoming webinars you can join. Learn from anywhere!